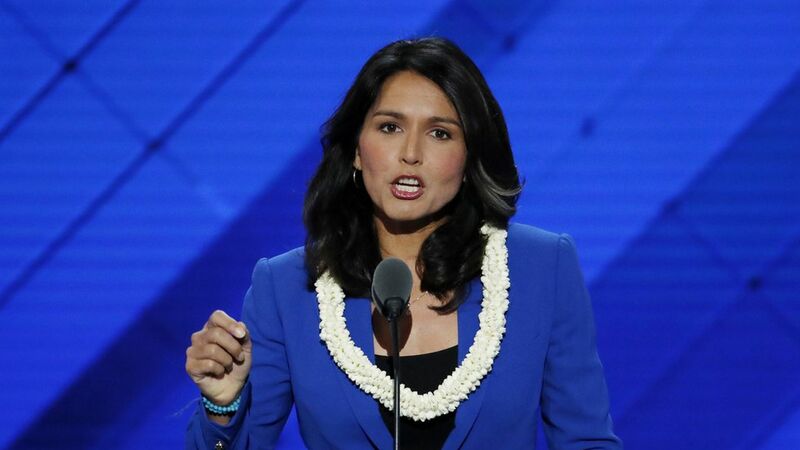 Rep. Tulsi Gabbard told CNN this afternoon that, in addition to expressing "love and aloha" to the Syrian people, she also met with Bashar al-Assad during her recent trip to the country. Something to consider #1: If this seems like a Trumpian move for a Dem, don't forget that Steve Bannon "loves" Gabbard and set up a meeting between her and Trump in November. Something to consider #2: She's been coy about who actually paid for her trip, leading some to believe it might have been organized by a pro-Assad NGO.